We’re excited to announce our inclusion into the Cloud Support category of the G-Cloud 10 Framework, part of the United Kingdom’s official Digital Marketplace. Acceptance onto this Digital Marketplace enables UK government departments to purchase crucial services without needing to complete a full procurement process. Working with Government departments is a key part of Red Badger’s growth strategy for the upcoming three years as we take our experience from the private sector and apply this in public. Over the past eight years, we have helped complex organisations across three main sectors, namely Financial Services, Retail, and Media, to navigate the changing business landscape to achieve their digital transformation initiatives. Rapid acceleration in digital innovation has created enormous challenges for the public sector to keep pace with digital transformation, forcing the sector to look to approaches of private enterprise to keep pace. We believe our experience, along with public department domain knowledge will be a catalyst for change in the sector. Twelve months ago we made the decision to diversify our sector expertise. Driven ground up through reaching out to the Red Badger team and building on our social value initiative, it was clear that the Public Sector was where we believe we could make the most impact. Driven to ensure that we make a positive impact on people’s lives through the work we do, while allowing us to achieve sustainable business growth over the coming years, we made the decision to connect passion with business strategy. The G-Cloud 10 Framework is a great example of what governments are doing to make sure that public sector departments have the ability to make informed choices regarding their cloud software choices. G-Cloud 10 presents an app store-like model that encourages comparison and competition on the Digital Marketplace. The framework, set up by Crown Commercial Service (CCS), an executive agency sponsored by Cabinet Office, clearly outlines pricing structures, support services types, cost, and platform compatibility among other qualities, serving as a central repository that makes it easy for public sector agencies across the United Kingdom to assess what cloud-based software tools are available to them. G-Cloud 10 encourages departments to make the best choices for their own use cases, allowing them to use implementations that might not have been feasible through a traditional government procurement system. Much like the private sector, software needs aren't one-size-fits-all in the public sector, so pre-approved pricing structures make it easier to try software at any scale. As public sector departments increasingly draw from the iterative approaches seen in the startup world, software experimentation and resulting productivity gains are becoming the norm. 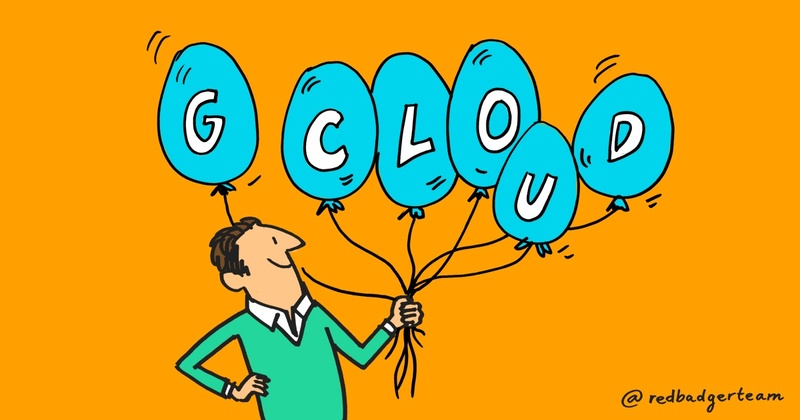 By being on the G-Cloud 10 platform, it enables public agencies to evaluate a diverse set of tools and services to see what best fits their needs. This centralized hub of pre-approved platforms and suppliers is a vital resource in allowing agencies to reduce the amount of time and money spent. Getting onto G-Cloud 10 and our aspiration to be included in other frameworks such as DOS 3 (applications due in August 2018) is only the beginning of a long commitment for us. We have established a team focused on understanding the sector and helping us establish ourselves in the sector. Initially, we’ll look to gain this understanding through attending events, speaking to different department contacts and working through content on transformation in the sector. Equipped with our growing understanding of the sector, we aim to bring in additional resources into our public sector team to ensure that the team capabilities align with the need to work in complex environments to deliver efficiency through all of the work we do.